As Chief Executive Officer, Scott is responsible for the overall business strategy and day-to-day operations for Giant Concepts. Most recently, Scott served as President of Excelsior Interactive, the marketing division of Highland Products Group, an Internet 500 retailer. 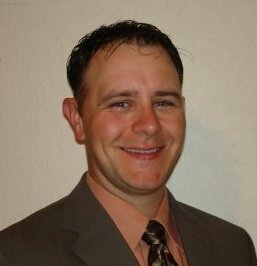 Scott has also served as Founder and Chief Executive Officer of onResponse.com, a pioneer in the affiliate network space. In 2000, onResponse.com was acquired by ValueClick, one of the Industry’s largest and most diversified online advertising companies. onResponse.com was one of the very first cost-per-action affiliate networks and was the first network ever acquired by a media company. The business model and the industry Scott helped found became the basis for hundreds of companies in existence today; some estimates put this industry in the multi-billion dollar range. Scott is an Internet Marketing visionary with a keen eye for identifying and implementing trends long before their time. Matt spent 20 years in sales in everything from Financial Advising to Business Brokering before focusing his attention towards online marketing. While doing due diligence analyzing hundreds of companies, he would have had to be an idiot not to recognize the pattern that businesses with successful online marketing grew the fastest and had the most effective management systems. Matt has successfully created and managed marketing campaigns for $200MM companies down to mom-and-pop startups ranging in monthly spend from $500 to $100,000. His core focus is ecommerce, specializing in conversion optimization from initial impression to final conversion as well as effective CPA (Cost per Action/Acquisition) which, ironically, was a method developed by Scott Averbach back in 2000.